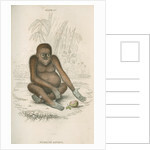 Zoological study of an orang-utan, possibly the Bornean orangutan, Pongo pygmaeus shown from the front, seated and indicating towards a half-eaten fruit placed on the ground. A mountainous forest landscape is visible behind. 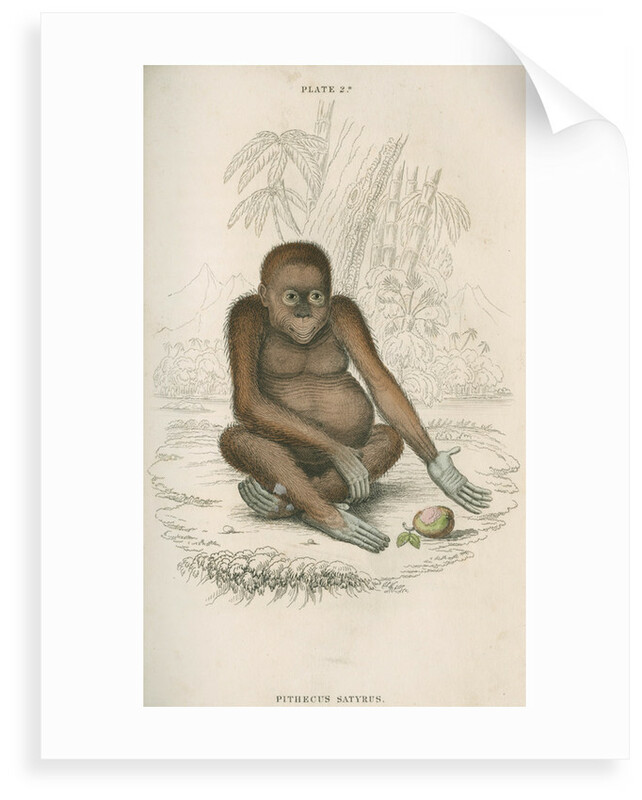 Plate 2* from The natural history of monkeys, by Sir William Jardine (Edinburgh, 1833) The Naturalist's Library. 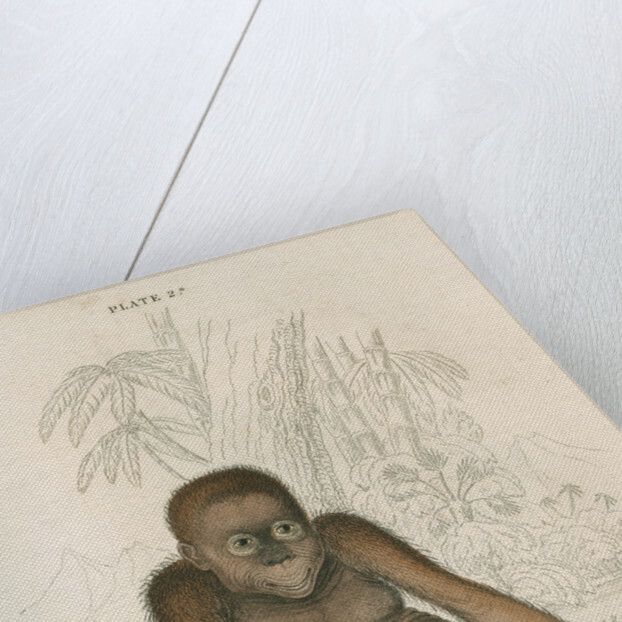 Mammalia. Vol.1. 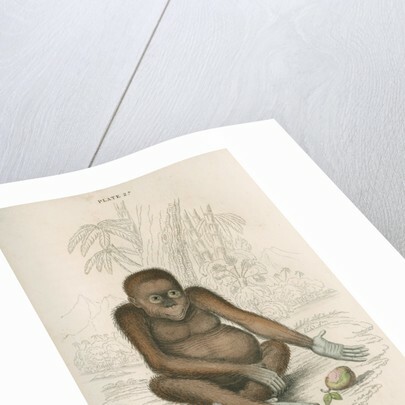 Referred to in the text as "The red or asiatic orang-utang". The plate is inscribed: "PLATE 2*. PITHECUS SATYRUS."